In competitions, silence from a coach generally does not auger good news. We like to share our successes, and when they do not come, there seems to be less to report. 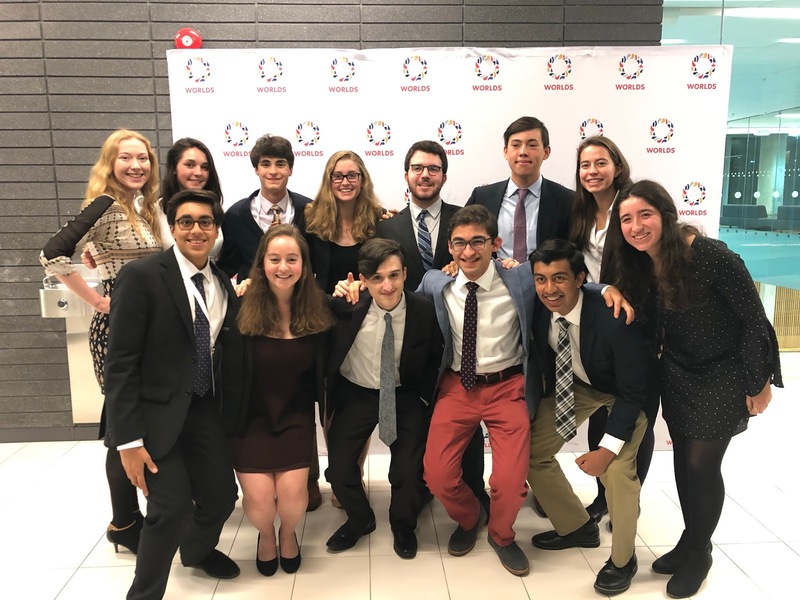 Yesterday's Grand Finals included only two members of the US delegation, Jax Morgan from Stoneleigh Burnham, in Interpretive Reading, (3rd overall) and Josh Beirich from St. Paul's in Debate (2nd overall). At the awards ceremony last night few US names were called, though in addition to the aforementioned successes, Jax Morgan placed 4th overall in After Dinner speaking, and Sarah Albert-Rozenberg finished 9th in the all-around. This report does save the best for last, however, as our own Patrick Rochford finished 20th in the world, out of 160 competitors. It puts a fine cap on his Northfield Mount Hermon debate career. He was the second highest finishing delegate in the US contingent, behind Sarah's 9th. We are ready to travel back to Franklin County in Massachusetts.